CINCINNATI – Earlier this year, Senco updated its iconic DuraSpin screw fastening system with the introduction of the next generation of 2" auto-feed screwdrivers. 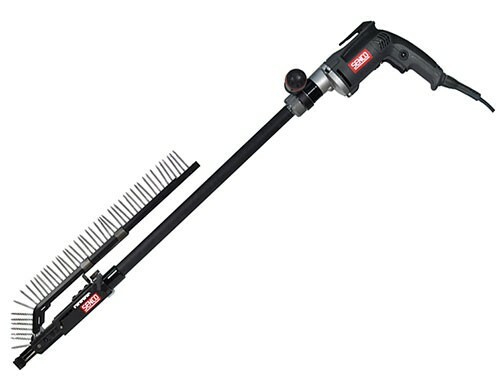 Now, they have added two new integrated tools and three attachments that are capable of driving 3" screws. "These new integrated tools and attachments are the go-to screw fastening solution for any job on the worksite. With minimal investment, pros will achieve maximum productivity," says product manager Mike Desmond. "Whether installing sheet rock or driving into steel, the high torque motors can make any job easier and faster, and the adapters and nose-pieces can be customized to get the most efficiency." Enhancements to the line include a variable speed trigger with lock and reverse options, a locking depth of drive adjustment which regulates the precise depth needed for flush drives or countersinking screws, a tool-free screw length adjustment (1" to 3") and a belt hook. Both models come with a locking depth of drive adjustment regulates the precise depth needed for flush drives or countersinking screws, a tool-free screw length adjustment (1" to 3") and quick release for easy bit access. "Designed with end-users in mind, the DuraSpin line eliminates the need to load and position fasteners individually, minimizing screw waste and cutting down on installation time by up to 30 percent," says Senco product manager Mike Desmond. "Senco is dedicated to increasing efficiencies that will help save our customers time and money."